Ten members of the Cloth Roads team Warmis Phuskadoras held an impromptu meeting in the PAZA store/workshop on October 16th. All were curious about their standing in the results. Doña Casimira was unhappy she´d dropped from last year´s champion to 4th place this year. That led to a discussion of outside influences affecting their spinning during the week. 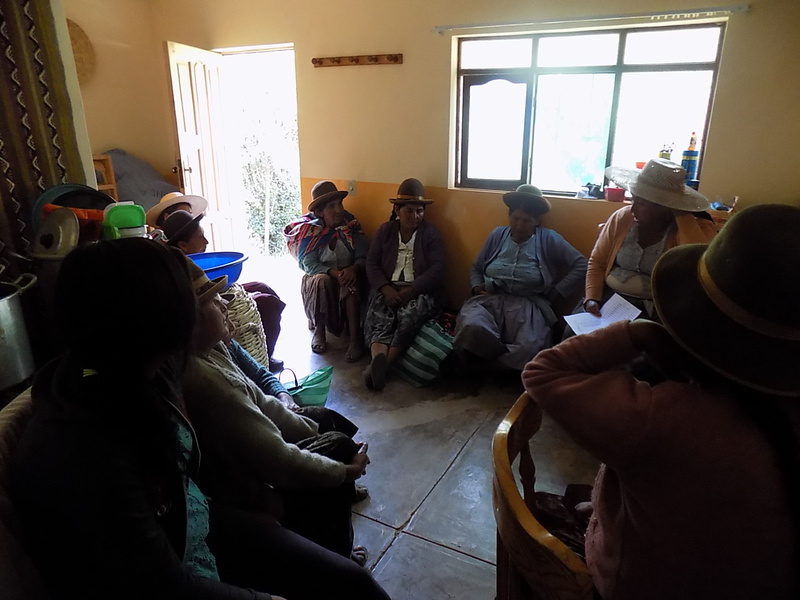 There had been 2 community meetings and an inauguration of a potable water project that piped water to a spigot in the yard (not into the home) of every home in Huancarani. One family member had to attend each of the events, and in many cases it was a spinner. That led to a broader discussion about lifestyles of spinners on other teams. They were surprised to learn that the majority drive themselves to a job outside of the home, and only spin in the home. It was pointed out that the team had spun roughly the same amount all 3 years. The total this year of 68,056 was down 455 yards from last year. That led to what will be an ongoing discussion of what the team can do to spin more. Their Spinzilla team was compared to a soccer team and one could see in their expressions that the concept of “team” finally resonated with them. 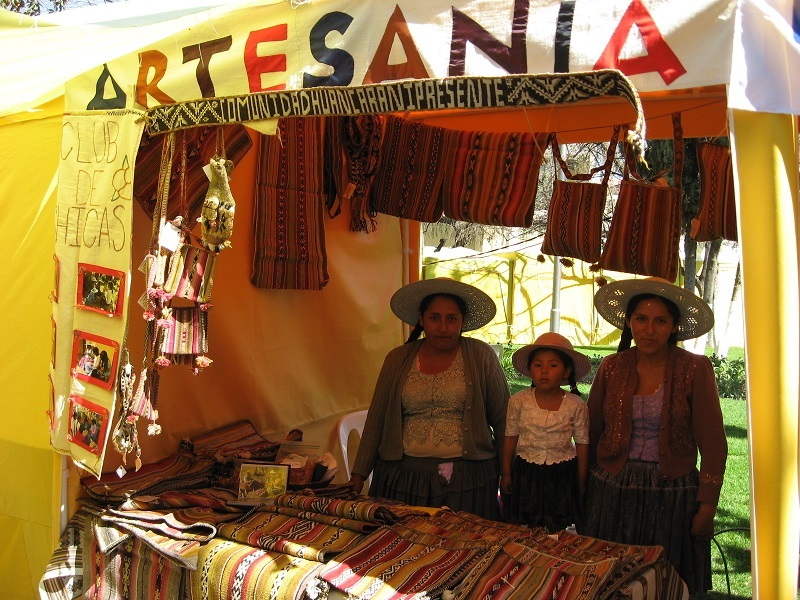 They were asked to bring ideas for team building to vote on at the annual Centro de Artesanía, Huancarani (CAH) meeting in December. the end of the year. 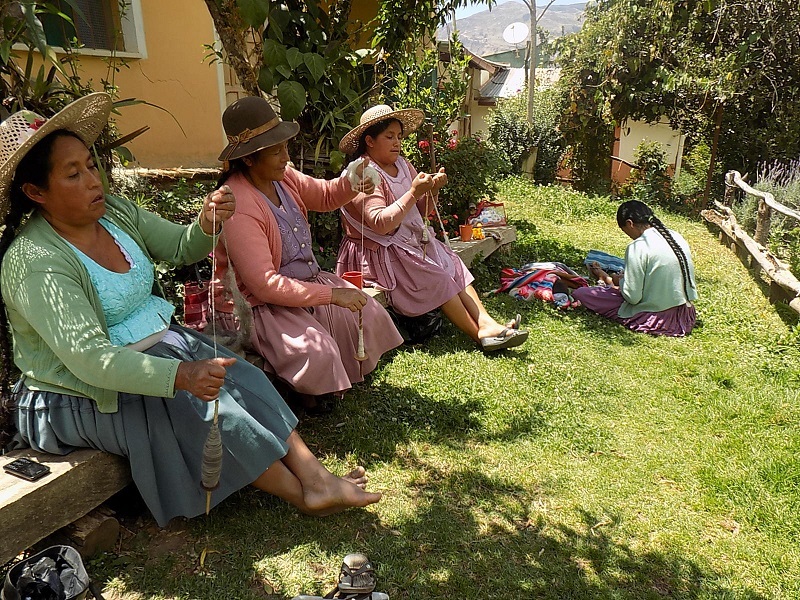 Due to the lack of success CdA has had with teaching weaving skills, no promises can be made, but Doña Maxima is planning on teaching her daughters Vilma and Zoraida the embedded double weave technique as a CdA activity during the next few months. CdA member Adviana learned the technique from her grandmother. Hopefully she will take advantage of the training opportunity to increase her proficiency. 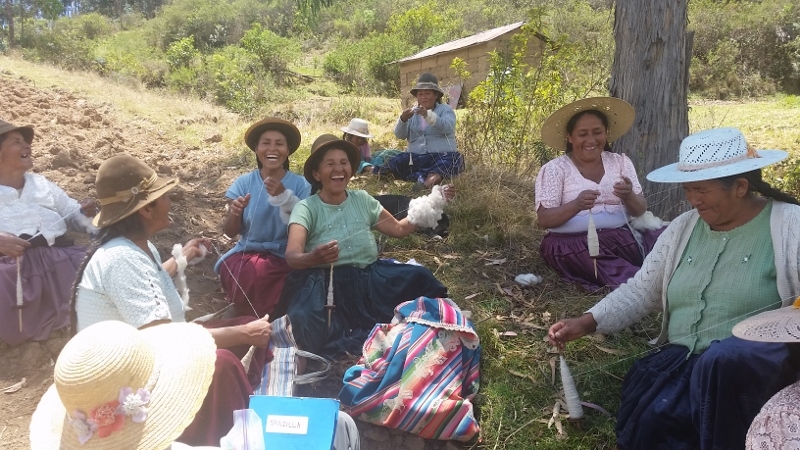 The Spinzilla results were not yet available when Doña Máxima and Dorinda turned their attention to next year´s Tinkuy International Weaving Conference in Cusco. It will be the 3rd Tinkuy for Doña Máxima and the first for her daughter, Zoraida, and for Doña Justina, the President of the CAH. Zoraida is the best of the PAZA sales team trio which includes her mother and Dorinda. Doña Máxima had planned to weave a 3rd aguayo last year while her husband was mayor of Huancarani, because the one she´d hurriedly woven for herself did not include the motifs possible when using the embedded double weave technique. The yearlong mayoral obligation ended and weaving the aguayo was no longer a priority. The Tinkuy offers a reason to weave that aguayo. Seven dollars of PAZA funds were used to buy the yarn she needed to supplement what she had on hand to create a masterpiece that will debut at the Tinkuy in November 2017. 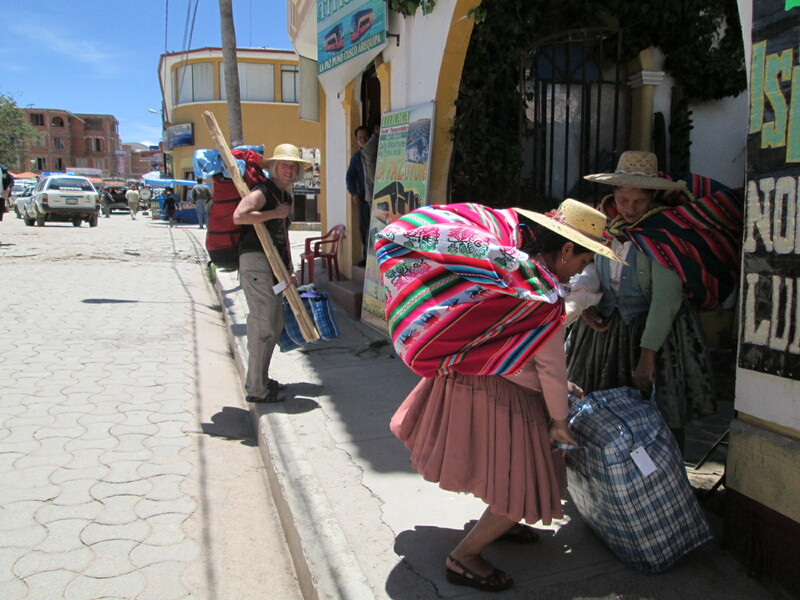 The CdA chicas picked up a new member following Amanda´s September jewelry making classes. 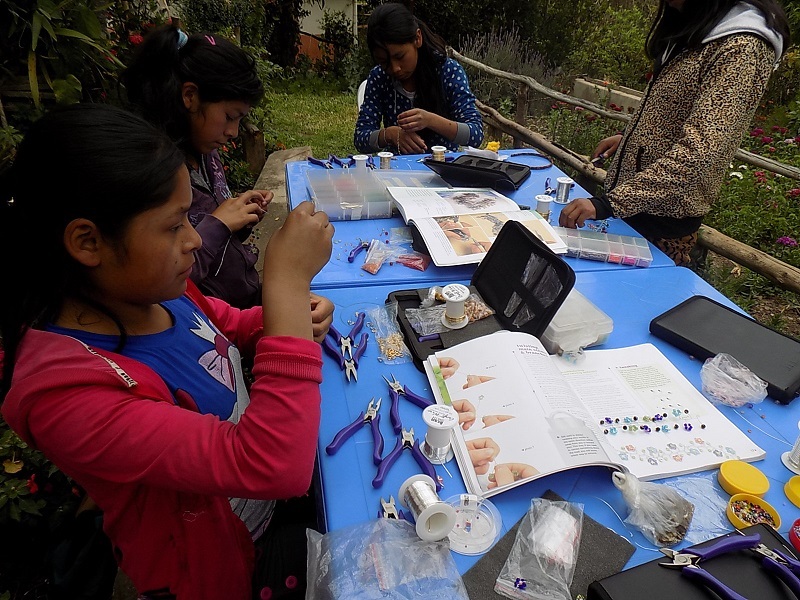 First grade teacher and Independencia local, Profesora Prisma, delighted in Amanda´s classes and joined the chicas the first 3 Saturdays in October for a morning of jewelry making. Gabriela, the CdA trainer, laid out the supplies and books Amanda had donated and all were soon engrossed in their projects. The complexity of their work increased after 2 of the chicas had to disassemble bracelets they´d made repeating a basic technique. Dorinda traveled to the U.S. to spend time with family following Spinzilla, and will return to Independencia in mid-December. 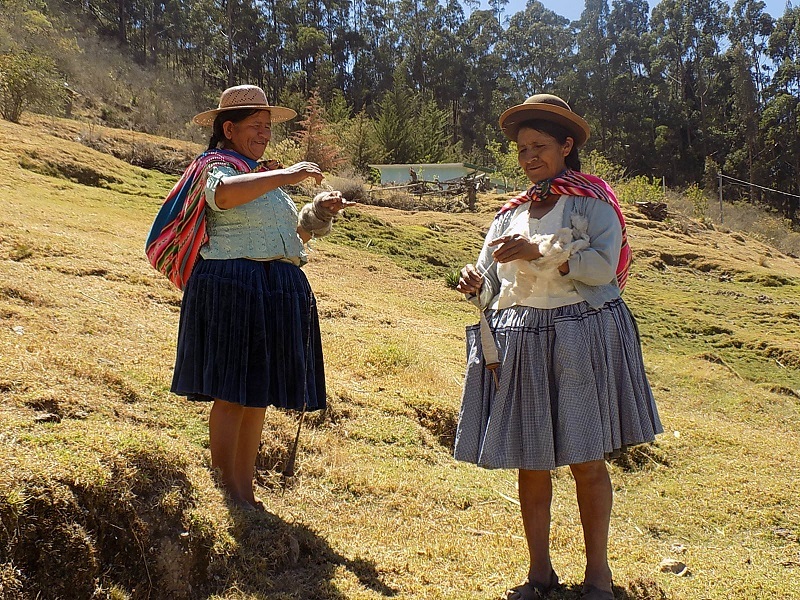 Doña Máxima will be holding CdA activities on Tuesdays and Thursdays in the PAZA workshop. 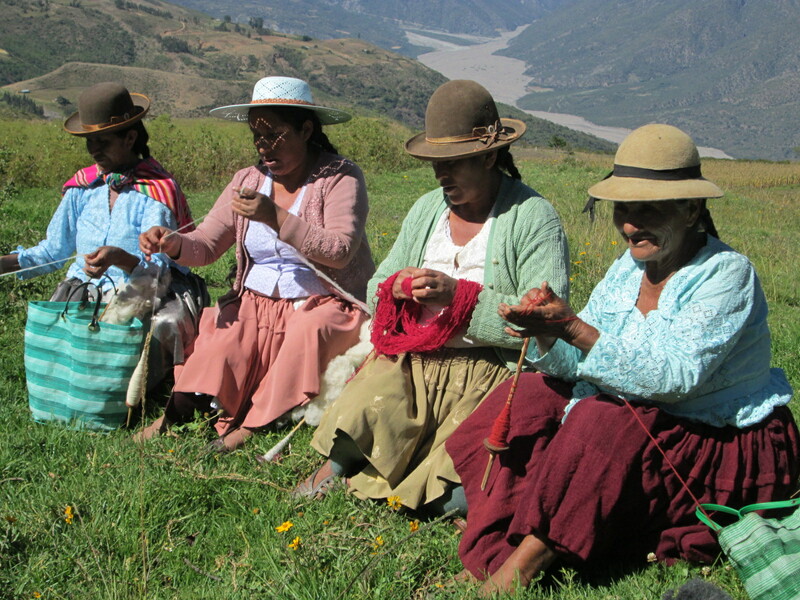 She will have the workshop open on Sunday mornings to meet with the Huancarani weavers. The CdA chicas ended for the year. Gaby, the trainer, graduates in early December and 200 Bs. ($29) in PAZA funds were given to her as a graduation gift. She had hoped to attend the university, but the 5 years investment wasn´t practical. Instead she will enroll in a 2 year sewing and design program at a vocational institute. Headed to 2013 Tinkuy, Doña Maxima Wearing a Factory Made Aguayo!